Every year at this time, if not sooner via travel, we have a chance to taste a wide range of top producers from the afore-mentioned famous appellation outside of Avignon. Additionally, these pre-bottling samples are accompanied by some of their less expensive stablemates; Côtes du Rhone, Lirac, Gigondas etc. Rhone wines are among my favorites, over 40 years of tasting in and visiting the region amply demonstrate that the overall quality and style of these wines also rank high for value—great bang for the buck! 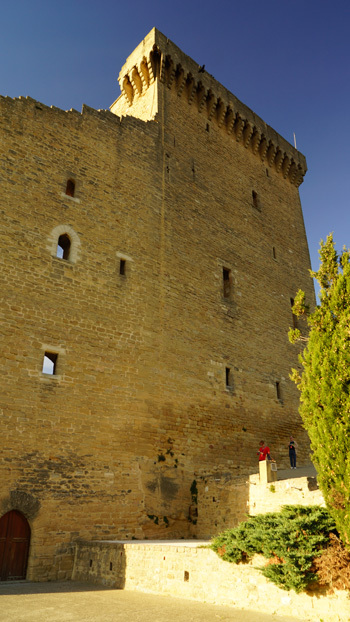 Chateauneuf du Pape (CdP) New Chateau of the Pope - in 2013 produced wines with overall deep color and less alcohol than in 2012 or 2010, recent powerful vintages. 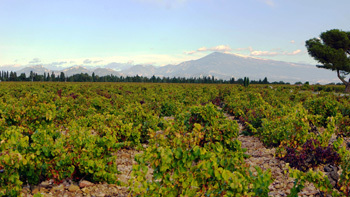 They are still powerful, but growing conditions limited the amount of Grenache produced, thus making producers rely more on the darker colored, richly structured Syrah and Mourvedre. I like that! The wines show darker berry fruit, more savory aromas, are less jammy and alcoholic, with fine structure to keep several years. In most years, wines from CdP’s many fine producers are composed of 75-85% Grenache, plus the other grapes noted before and several others. 2013 didn’t favor the heat-loving, but easily oxidized Grenache, so Grenache often represents only 50-60% of the blends. Nearby appellations like Gigondas and Lirac using similar blends to CdP experienced similar growing conditions and thus the wines are fresh, full-flavored and great values. This holds true, too, for Côtes du Rhone. Wines to enjoy at the table with a wide range of dishes! Unfortunately, 2013 was not a high volume year, so how much we can get of these wines is…well, not as much as we might like to!